Upon stepping through the front doors of the glass-encased oasis, you don't quite know whether you are hot or cold. I suppose that it would be most accurate to say that I was on the brink of both, hot and cold, teetering somewhere in between. 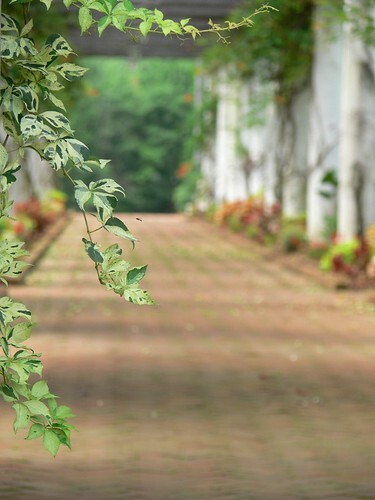 After the sweltering heat we encountered outdoors, I half expected to be greeted by a refreshingly cool blast of air as we walked into The Orchid Conservancy, but alas, we were not. What we were greeted by, though, was a landscape of lush foliage, and around every corner we were met with the most engaging plant life. One of the most stunning displays in the entire exhibit were the Tillandsia Archways. We spent quite sometime time admiring those amazing little air plants throughout that corridor. So many varieties that I hadn't seen before. Although, the real shop-stopper was just around the bend! Directly after the last archway, you run into a 16 foot stone wall with a cascade that is full of epiphytes. Unfortunately, the orchids in this display weren't accessible, which was a little sad because some of them had the best smells! 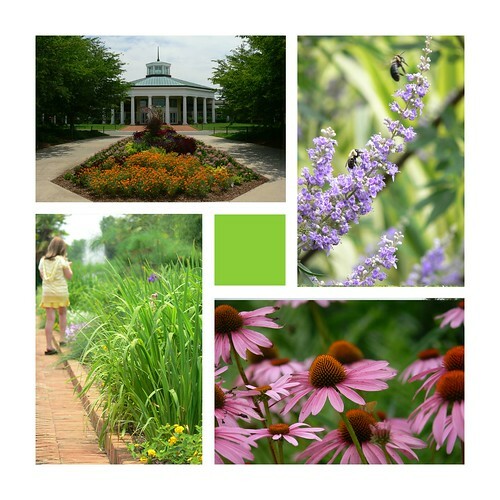 I remember a few from our visit to the Fuqua Conservancy in the Atlanta Botanical Gardens. 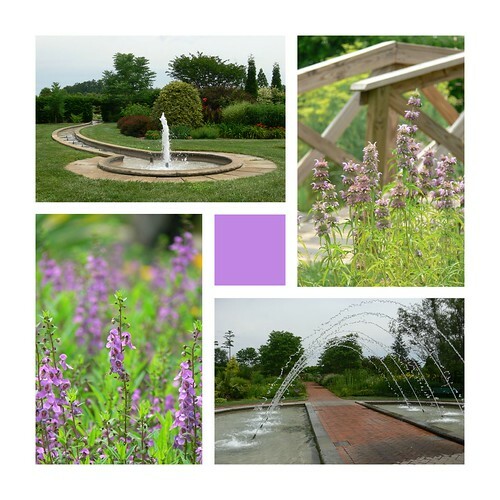 As we slowly weaved our way through this horticultural display, we witnessed more than 14,000 plants and flowers. I went ahead and passed through twice just in case I missed something the first time--which normally happens. Now, I don't know how we missed it on the first walk through, but there was a little room off the back that was cranking out some bone chilling a/c! It was GLORIOUS! Reluctantly, we left the chill-zone to finish out our 2nd-time-around-tour. Even though we were eager to find refuge in the next cool spot, we still took our sweet time making our way around the 8,000 sq ft ecosystem. If you ask me, there really is no other way to appreciate this artistic representation of nature! 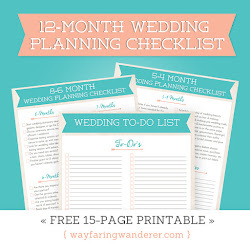 If you missed the last post, you can view it here. p.s. I finally set up my facebook page. After sitting in a classroom-like setting nearly all day on Saturday, for the NC Wildlife Federation Leadership Summit, we were dying to get out and about. Speaking of dying, the heat was unbearable! 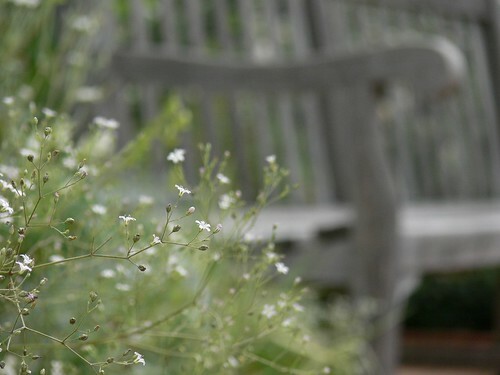 Nonetheless, I still managed to persuade Cody into making a trip to the Daniel Stowe Botanical Gardens before retreating back to our beloved mountains. 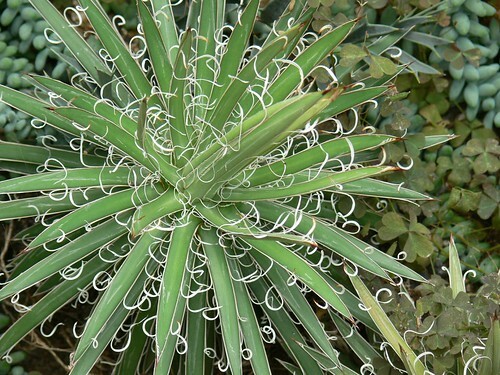 Botanical gardens, for me, are all about unearthing new and fascinating plant life. 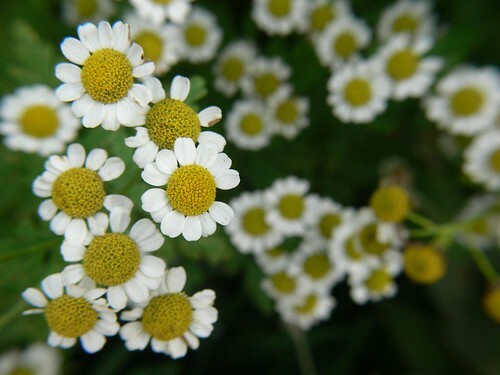 Normally, during our usual treks through the woods, we are on the lookout for interesting and unusual flora, but being in an area where everything is in one place is like a FREE FOR ALL! Armed with a map, we began our leisurely 'stop and stroll' through the lush landscape. Unlike most ventures when Cody is stuck waiting for me while I capture images, he actually joined in on the flower-photo-frenzy. 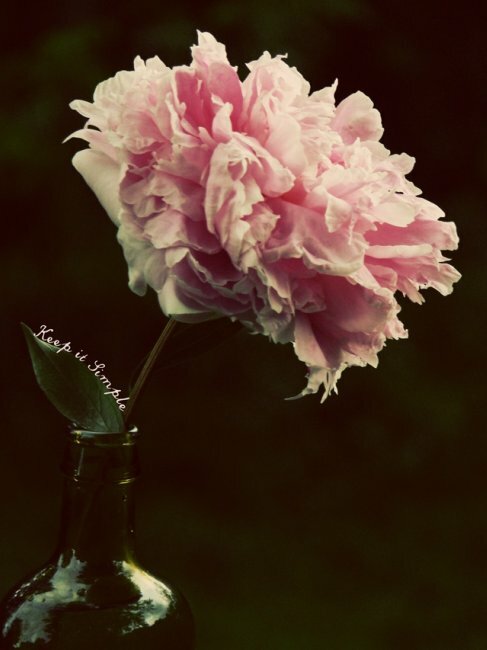 Flowers are the most amazing subjects to study with their varying colors, smells, and designs. We spent hours appreciating them. In my eyes, they are works of art. One thing that was especially unpleasant, though, was how stiflingly hot it was in Charlotte! I really don’t know how I survived in Florida for all those years. The mild mountain climates have spoiled me rotten! 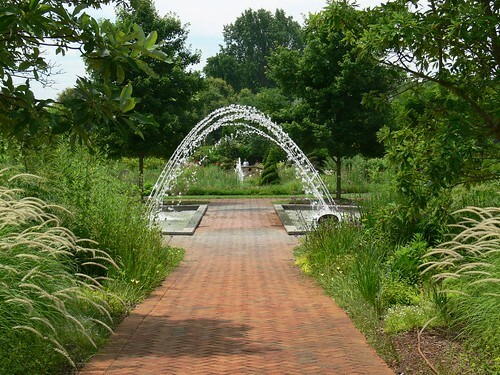 Lucky for us, it wasn’t hard finding flowing water throughout the gardens with various fountains spewing liquid gold. Occasionally, I would dip my hand in and splash myself for a few moments of much needed relief. Imagine my delight when we crept up to this inviting canopy of geyser-like proportions shooting through the air from both directions. It was basically daring you to walk though the tunnel without getting wet. Nearly impossible. I don’t know about you, but my main objective was to time it just right for maximum soakage! Ahhh….sweet relief! Another saving grace was the very friendly golf cart shuttle driver who was more than happy to give us a ride back to the front of the grounds. He even told us to come back and he’d take us on another breezy cruise! 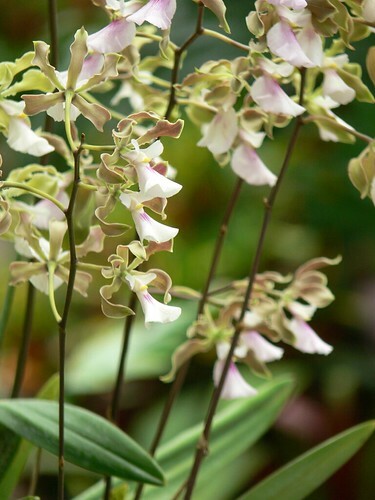 Next stop: The Orchid Conservancy! 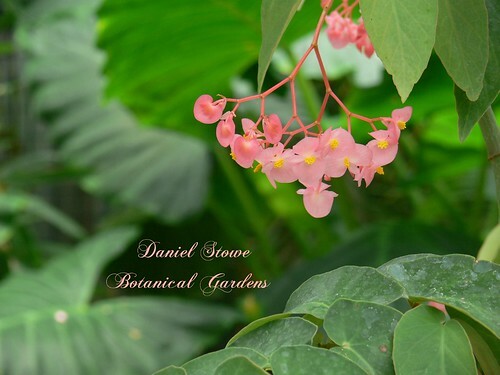 Come back on Friday for a field trip to the Daniel Stowe Botanical Gardens! Atlanta Botanical Gardens back in October. that I actually faced this crippling fear, and as a result, I may do it again. class on Photoshop to help with their newsletters!?!? We'll see. Thanks again for your encouragement and well wishes! On Sunday, we did have time to do a little sightseeing. I hope to have a field trip ready for Friday!! My hands begin to sweat, and my heart begins to race. It picks up so quickly that it is feels as though it is going to explode from my chest! The further along I go, the worse it becomes. This is me in front of a crowd. Nervous. Just thinking about it gets me worked up. I'm going to share a secret: For as long as I can remember, I have avoided public speaking *gasp*. For me, it's a big deal. And, I'm really tired of "it" being a big deal, too. I want that to change. Some of you may remember me mentioning that Cody and I joined PACT. This conservation group is the local chapter of the NC Wildlife Federation. When I became a member, I also took on the responsibility of Newsletter & Media Chair since they had open positions. I wanted to help. 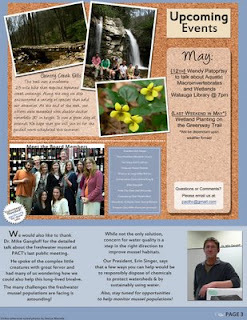 This was my first time doing a newsletter, but I was willing t to learn. Erin (The President) gave me full creative control, which just made the task even more daunting. But, I managed to come up with some ideas after scratching around on the internet. For the record, the term "scratching around" equates to hours and hours!! I've become a lot more comfortable with creating these sorts of things in the past few months. "So...what does this have to do with public speaking?" 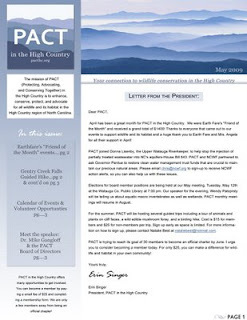 Well, Christopher North, the Conservation Director at the NC Wildlife Federation, asked if I would give a little talk about the newsletter I do for PACT at a Leadership Training Summit this weekend in Charlotte. Other local chapters will take part, too. It sounds a lot bigger than it really is. Anyway, my first instinct when I read his request email was, HECK NA!! followed by, I CAAAN'T DO THAT!! Then, I decided not to respond immediately with my usual gut reaction. Instead, I gave myself a little time. I am choosing to thrust myself OUT of my comfort zone! For real. I'm freaking out! I need encouragement. And LOTS of it. *The PACT logo was NOT created by me. 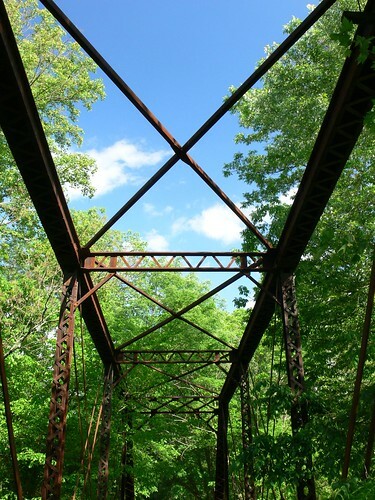 Once a year the town of Damascus, VA. becomes a mecca for those who have an affinity for the Appalachian Trail. For the few whom have never heard of the AT, it is a trail that runs from Georgia, all the way to Maine. Damascus is roughly the halfway point of the 2,175 mile journey. The town is especially popular amongst hikers because it is the only part of the AT that actually passes thru a town. Since the sidewalk is part of the trail, on any given day, you can find a few weary backpackers walking along the roadside loaded down with gear. On these days, however, you are more than likely to find hundreds of them! Open to any and all who may have thru-hiked, section-hiked, helped to maintain, preserve or anyone who just enjoys being outdoors is welcome to the annual Appalachian Trail Days extravaganza! The point is, whether you have hiked it or not--which I haven't--this special event gives everyone a chance to celebrate the Appalachian Trail as well as its people. I found this snippet of the talent contest that showcases a really awesome beat box named, Abraham. He was very popular among the crowd, and for very good reason. I bet he wins every year! Along with the talent show, they had all sorts of activities including a HUGE water-fight parade (that we missed), as well as various food (my favorite!) and merchandise vendors. 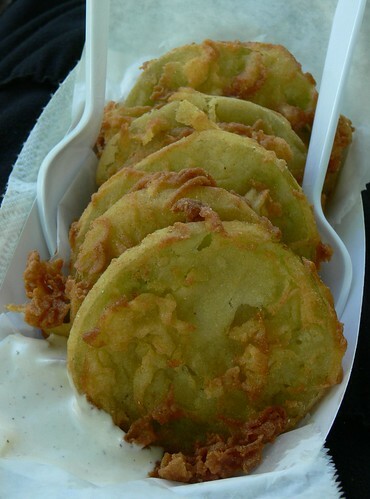 fried green tomatoes! I couldn't resist the FGT. After a clear and beautiful day at the festival we retreated to our campsite tucked deep within Mount Rogers. See?!?! 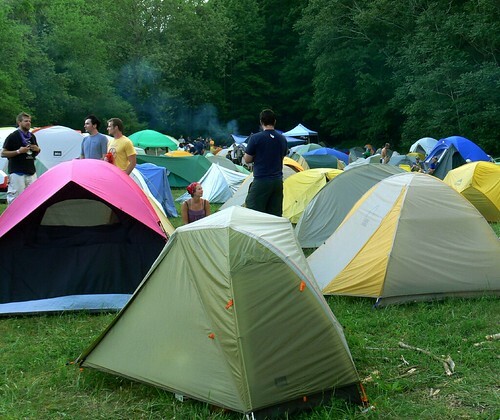 It is named "Tent City" for a very good reason. That night, we got to our tent in the nick of time. As soon as we zipped up the 'door' it proceeded to rain, and did so ALL NIGHT LONG! It was still raining in the morning when we packed up. Thank goodness Cody reminded me to bring my rain coat! I'm curious, who here has heard of the Appalachian Trail? and then we'll need no other light. By accident we found ourselves at the trailhead to Moore Cove Falls. Initially, our intention was to stop and take a few photos from the auto bridge, but we were pleasantly surprised to find this treasure. Because it was a relatively short hike we said, "What the hay, let's check it out!" I liked not knowing exactly what we were in for, it made the stroll that much more enjoyable. 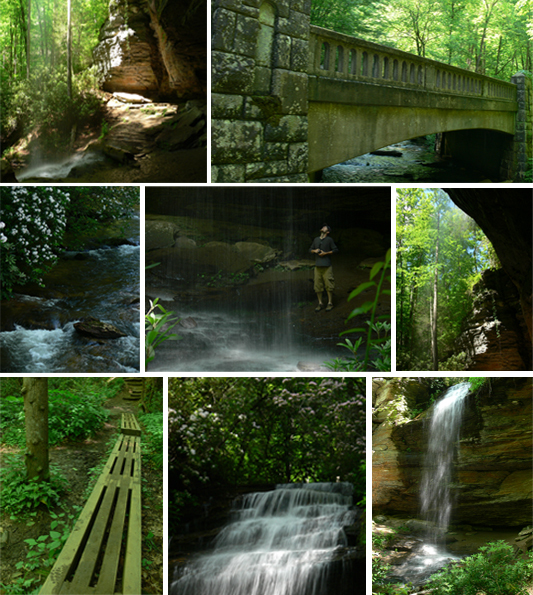 We followed Moore Creek upstream for .7 miles and crossed a few footbridges (my favorite) along the way. Imagine our surprise when, at the end, we were greeted by a lovely cascade that descended from the top of a cave! It's not very often that you can walk behind a waterfall for an ultimate up-close view. That was a special and unexpected treat, indeed. As with the waterfall we visited earlier, I had a hard time capturing a properly exposed photo. 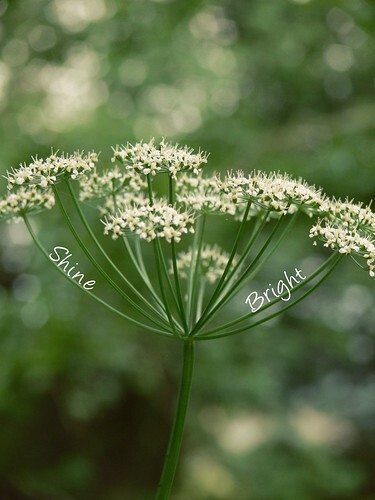 A streak of light was brightly shining horizontally across the cascade! Even so, it was an awesome place to have stumbled upon, especially since we were able to witness such a unique view. Don't you just love those sorts of unexpected stops? What did you find on your last venture? Our time was short, and the sightseeing was kept to a minimum, but there was still enough time to visit a few different landmarks while in Brevard, NC a few weekends ago. And, since we are only a hop, skip and jump away I figure that future explorations are definitely on the horizon. The first stop on our short-tour started at Looking Glass Falls. Unlike the majority of waterfalls we have ventured to, this one didn't require a hike to get to it. It could even be seen from a viewing deck right off the main road that anyone could access. Several other platforms could also be accessed via stairs so we headed down to get a closer look. The main viewing area took you down to the base where a steady cloud of mist made it nearly impossible to take photos from. I had to find a different spot. It didn't take long for me to realize that the most ideal spot would have been smack dab in the middle of the stream, which would have be acceptable to do, but I was not prepared. Had I anticipated wading in the water I would have brought my wellies along! Next time. Instead, I hopped over the wall at the first landing and shot a few photos from a higher angle. The position of the sun made it difficult to get anything worthwhile, but who can really complain on such a gorgeous day?! In an attempt to get home by early afternoon we cut the day short. However, there was still enough time for one last pit stop. 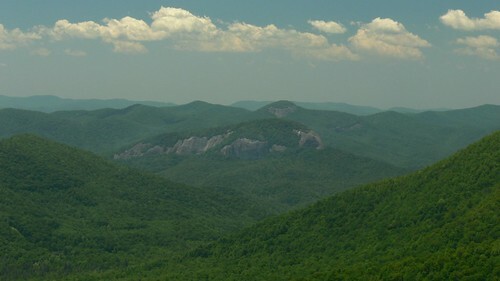 An overlook right off the parkway opened up to a panoramic view of Looking Glass Rock. A massive blob of granite that juts out of the earth! After a few more photos and one last goodbye we were on our way back home. No detours. The highway quickly brought our mini getaway to an end. I know that some might think a one night stay away from home might not be worth it, but I like to go whenever I can, and sometimes that means doing so in spurts. 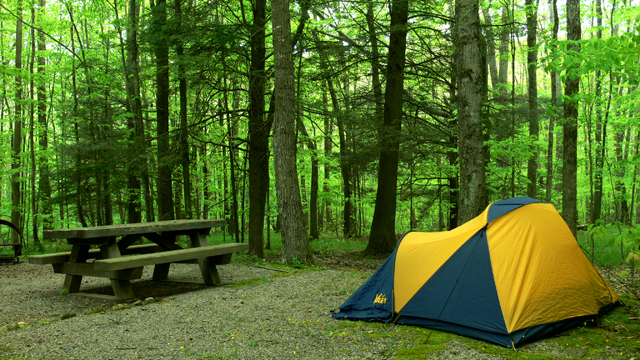 For me, a one night camping excursion always makes my weekend feel as though it was magically extended! Will you only go somewhere when you have "enough" time to see everything? I am loving my peony right now. She smells so lovely! I know I promised a field trip, but I am too tired. After nearly an entire week of rain, we were rewarded with the most glorious weather. That is precisely why I wanted to make the most of our weekend. I didn't make a fuss about planning anything specifically, but I knew that I wanted to see a waterfall after such heavy rainfall. And even though I knew the beautiful bright blue skies wouldn't be the best for taking waterfall photos, I didn't care. On a whim, we headed down south. Having no real destination in mind allowed us to take the long and sometimes painfully slow way. 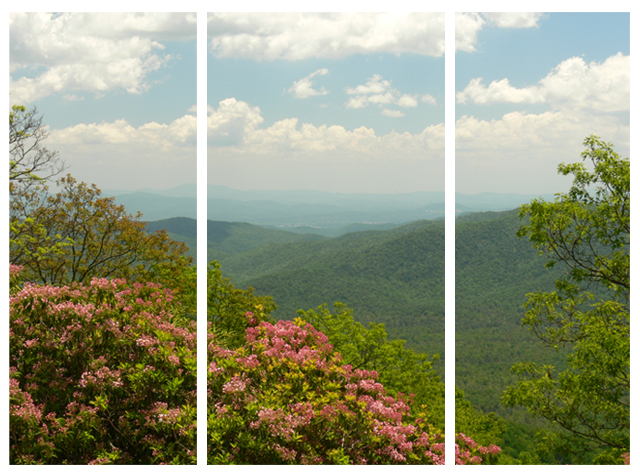 The pace barely matters since you get to witness the most breathtaking views while riding along The Blue Ridge Parkway. I felt like it had been too long since we white-knuckled our way down those winding roads. Our drive ended at the peak of the Blue Ridge Parkway on top of Mount Pisgah. 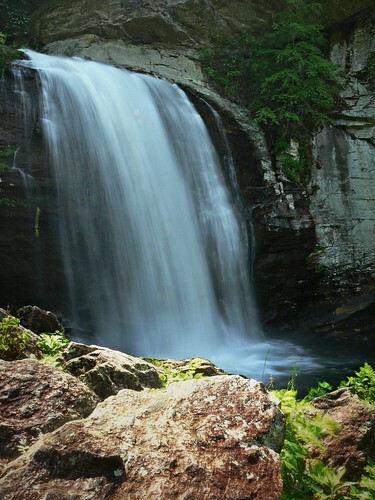 A perfect place to end up since you can find various free camping within the Pisgah National Forest boundaries. However, I didn't wish to forgo the luxury of a bathroom this time, so we set up shop in the national park service campground. It only set us back $16! Spoiling ourselves even further, we made the tough choice of eating at the Pisgah Inn's restaurant. We almost chose not to have dinner there because of confusion with the menu prices. They only had their pricey specials posted on an LCD screen while the "real" menu was posted on a bulletin board 10 feet away near the bathroom!? We accidentally discovered it while lingering around the waiting area. I was trying to get Cody to talk me into justifying the expense. He's good at that when he wants something :) I was glad we got to eat there. The view was to die for and the food wasn't too bad either. Before making our way back to the campgrounds we took a short drive to find an ideal spot to catch the sunset. It was a splendid way to end the day. Wanna see the landmarks we visited on Sunday? If so, I invite you to come back this Friday for a field trip!